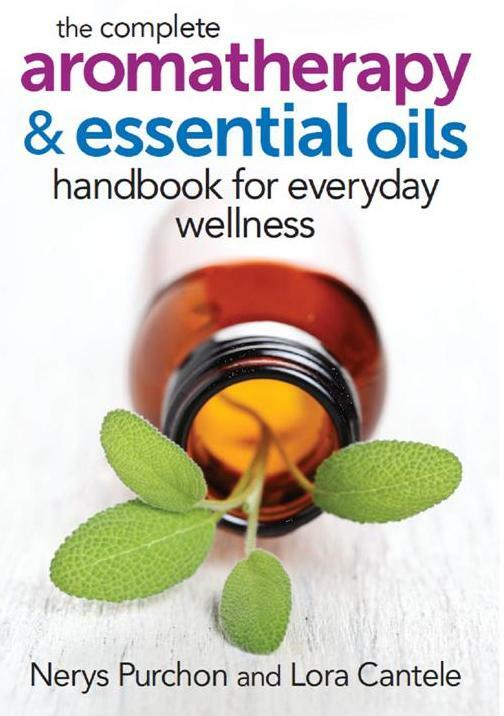 For some time now, there has been a real need for an up-to-date and comprehensive book about essential oils and aromatherapy that is aimed precisely at the enthusiast rather than the professional. This book not only fulfils this need, but also delivers so much more! At 480 pages, this is a lengthy read, however the text is organised into four distinct sections that divides the content into manageable chunks, and allows the reader to find information quickly when required. So, it is a both a reliable reference and a practically oriented resource. The content is presented very well indeed; this book is full of accessible information that is delivered at just the right level – it is not ‘preachy’, it is not in any way condescending, and at no time does it assume prior knowledge – and so all the reader needs is curiosity, a love of essential oils, and a desire to incorporate them into their lives. The positive, health-enhancing benefits and safety aspects of the oils are described accurately, backed up by a comprehensive bibliography which contains research papers as well as authoritative aromatherapy texts. The ‘Introduction’ provides the backdrop – including the origins and characteristics of essential oils, safety issues and ways of using them. In Part 1 ‘The Oils’, we find information about quality, cautions and their therapeutic properties, followed by an A (allspice) to Y (ylang ylang!) of essential oils – individual profiles that give just enough information about the character of the oils to whet the reader’s appetite, and their specific uses and cautions. Hydrolats, carrier oils and butters are also included in this section; and so, the information needed for preparing blends is all in place. Part 2 is entitled ‘Remedies’, and is organised by conditions, from ‘abrasions’ through to ‘workplace stress’. This is so very comprehensive, no situation that cannot be remedied by the judicious use of aromatics has been omitted, and indeed some unusual conditions have been included, such as ‘water warts’. Lora’s experience and knowledge really shines here – and professionals will certainly learn a lot. She includes an impressive range of blends for wide-ranging conditions and situations, showcasing her considerable understanding of synergy and her excellent ‘nose’. I have absolutely no doubt that practitioners as well as enthusiasts will be preparing these blends and benefitting from them. Also, from the aromatherapist’s perspective, this section will serve to inspire as well as confirm our practice. Part 3, ‘Aromatherapy for Daily Living’ shows us how to integrate aromatics into our lives, elevating our personal care routines into beautifully aromatic experiences. Here, we learn about essential oils that are particularly suitable for skin, hair and oral care, accompanied by formulae for a wide range of aromatic preparations. Even our home needs are catered for – hygiene, cleaning and environmental fragrancing for mood enhancement – it is all here. Finally, there is a short section on massage, again aimed at the enthusiast. Part 4 addresses ‘Practicalities’ such as equipment, measurements, percentages, and the storage of essential oils and products. Other useful inclusions are a glossary, and a list of resources – not only for supplies and equipment, but also professional organisations and aromatherapy journals and newsletters. I am sure that most professional aromatherapists have clients who would like to use essential oils at home, and who have the desire to to understand more about aromatics and aromatherapy. Also, and most importantly, the direct engagement with essential oils, and the blending process, is, in itself, is profoundly therapeutic; it allows us to form a personal relationship with the oils. Here, at last, is a book that professionals can recommend to their clients. This really is a ‘handbook for everyday wellness’. In the preface to the first edition, the late Nerys Purchon wrote “… each day I feel a deeper love for and gain a greater understanding of these magical essences”. Lora Cantele, in the preface to this second edition expresses her own love of essential oils, saying “I now encourage others to embrace this fragrant way of life. I have found my calling in service to others, as both a healthcare provider and an aromatherapy educator”. Both Lora and Nerys have provided both professionals and enthusiasts with a valuable resource, and have enabled us all to enrich our lives with aromatherapy. Thank you. Jennifer Peace Rhind is a Chartered Biologist with a PhD in Mycology. She has worked in quality assurance, research, and development. A long-standing interest in Complementary and Alternative Medicine (CAM) led to qualification in massage, Aromatherapy and reflexology. She worked as a therapist and partner in a multidisciplinary complementary healthcare clinic, and as an Aromatherapy tutor. Following this, she was a lecturer at Edinburgh Napier University for fourteen years, and remains involved in essential oil and scent education. She is the author of Essential Oils: A Handbook for Aromatherapy Practice, Fragrance and Wellbeing: Plant Aromatics and Their Influence on the Psyche, and A Sensory Journey: Meditations on Scent for Wellbeing all published by Singing Dragon Books. Should Aromatherapy education be free? Last week I referred to some viral comments including the belief that Aromatherapy certification is no longer desirable. It seems that with the widespread use of essential oils, many people new to Aromatherapy find it to be a “one-size-fits-all” fix and are more than happy with the “free education” being shared through social media. Some went so far as to share their unhappiness of certified Aromatherapists claiming that we withhold valuable safety information unless we are paid to provide a consultation. Further, another posted a comment below the image of the AIA Internal Use Statement that it would appear that only those of us who have paid for an obtained a formal education in aromatherapy seem to be the only ones who should be allowed to share information, but suggests that people should be able to obtain this information for free. In addition, there have been heated debates over the use of undiluted essential oils and internal use sparked by some of this “free education.” Well let’s take a closer look. Is it “free education” that is being provided or “free propaganda?” Like it or not, recommendations for essential oil use are prevalent on social media. So much so that the aromatic community has responded in various ways. One organization and a few schools and educators have reached out to one of the larger essential oil multi-level marketing companies in an effort to provide education to their independent distributors. 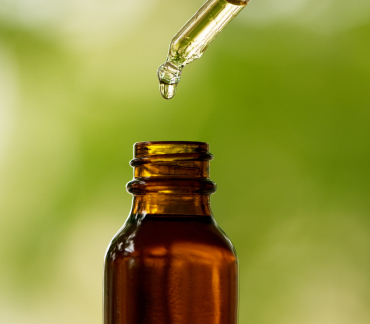 The American Herbal Products Association (AHPA) has created a working group as part of their Botanical Personal Care Products Committee for the sole purpose of determining whether or not AHPA should establish additional guidelines and requirements for the internal use of essential oils. Many Certified Aromatherapists have grown weary with the laborious task of providing cautious, mindful and prudent educational posts on social media in an effort to protect our community and work. 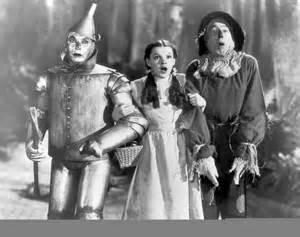 If you or your child had a serious health concern would you go to a doctor or a shoe salesman for answers? Simply put, that is where we are and the standpoint from which we need to educate. I recently spoke at a college here in Colorado where I discussed these concerns with the aromatherapy students. At the end of my talk, I was approached by a student who told me she is having some chest pains since quitting smoking a few days earlier. She wanted a recommendation for oils to help with her breathing and chest pains. I told her I wasn’t a doctor and she should seek a professional diagnosis. Once diagnosed, I told her I would be happy to discuss her aromatherapeutic options with her. Her reply? “I thought that is what you’d say.” As a professional, I work within the scope of my practice and education (not to mention my liability insurance). So why is this now viewed as “withholding information without payment” or “becoming jaded with the sharing of ‘free propaganda’ and not respected as simply being responsible and professional? Essential oil use is changing. With all the “free” information being shared (good and bad), how much ‘free education” are you willing to provide in the face of all the “free propaganda” for the sake of your community? Want more? Check out this link for a great read by my friend, The Untamed Alchemist.